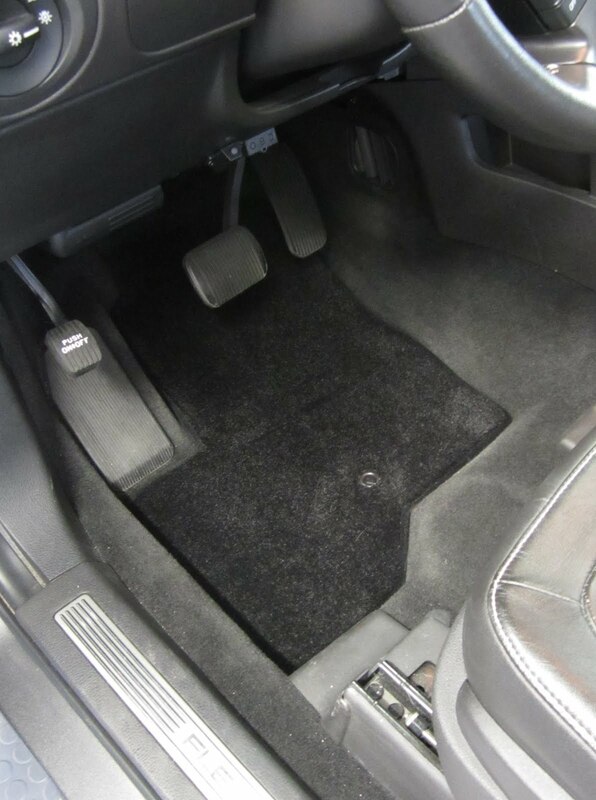 A new set of custom floor mats is just what your vehicle's interior needs to look much better in minutes. California Car Cover carries a variety of floor mat styles and brands for just about any vehicle. This particular set is from Lloyd Mats. The mats shown below are the new mats for my 2010 Ford Flex. The original floor mats were starting to show some wear so it was time to upgrade them. I ordered a set of custom carpet mats from Lloyd for my vehicle. They offer a few different styles and materials, such as berber carpet, rubber and extra plush carpet. I opted for the standard weight floor mats in black. Check out the difference! The mat on the left is my driver's side floor mat and the new driver's side mat from Lloyd is on the right. Lloyd Mats are designed for the best fit and most coverage. This way more of your factory interior is protected. These mats are available in a variety of colors, 52 different colors if you can believe it. The mats are made of 32 oz. densely packed premium nylon carpet. Lloyd does a great job in utilizing factory anchoring systems to keep front mats in place. My Ford Flex has a small tab on the driver's side to prevent the mat from sliding. The Lloyd mats features a reinforced grommet ring in the same location. Above is the new second row floor mat on the right and the factory mat on the left. Not only is the new mat thicker, but it protects more of the backseat floor area from dirt and spills. New floor mats in place. There are multiple ways to protect your interior with Lloyd Mats. 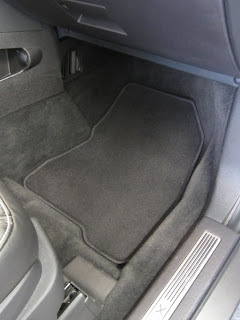 They can custom order a cargo mat whether your third row seat are up or down for most vehicles. Above is a cargo mat that can be used when the 3rd row seats are being used. This cargo mat can be rolled into place when the 3rd row seats are folded mat. I usually have the 3rd row seat folded flat when I am hauling products to car shows or our photo studio. 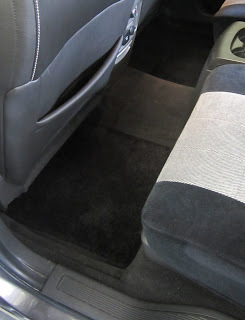 The carpet mat looks great and protects the seat backs from damage. Live in the Southern California area? Stop by our showroom in Chatsworth, Ca to view our custom Lloyd Mats display. The display showcases all of the mats available from Lloyd Mats. You can view all the colors, fabrics and styles and see what mat will look best in your vehicle. Visit California Car Cover for more details. Want see more videos of California Car Cover products in use or being installed? Check out our You Tube Channel. Looking for a set of Lloyd Carpet Mats? Check out our website for easy online ordering. This Lloyd brand is really famous and they offer a few different styles and materials, such as rubber and extra plush carpet so i also want buy this carpet for my car.